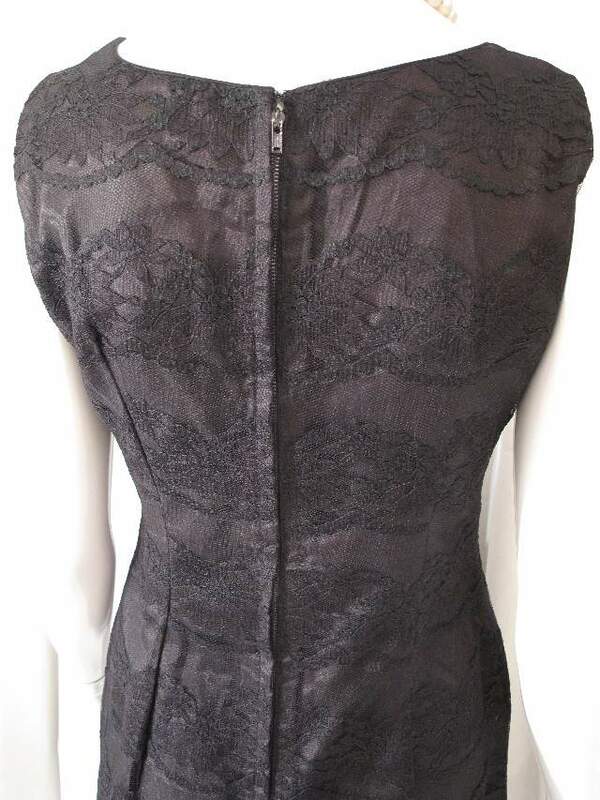 1960's Black lace fitted vintage shift dress. 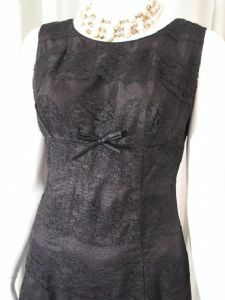 The definative '60's little black dress, scooped neck with empire line black satin piped detail and fixed bow. 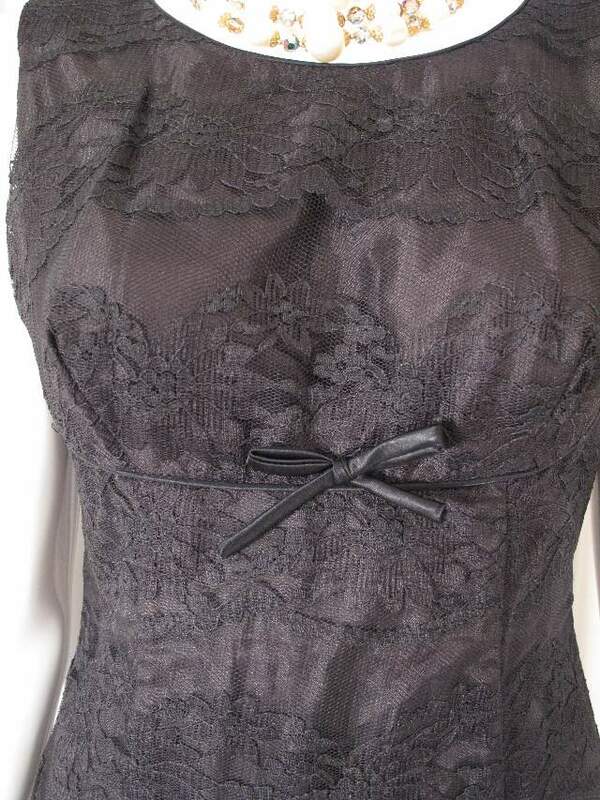 The dress has a scalloped lace hemline. Great with pearls and black patent winklepickers!